Free Unicorn Party Printable Downloads! Cute Unicorns! 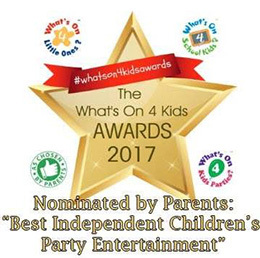 Treasure Box Parties are excited to offer Unicorn themed Birthday Party Entertainment across Surrey, Hampshire and Berkshire. Free Unicorn Party Invitation – Cute Unicorn Party! 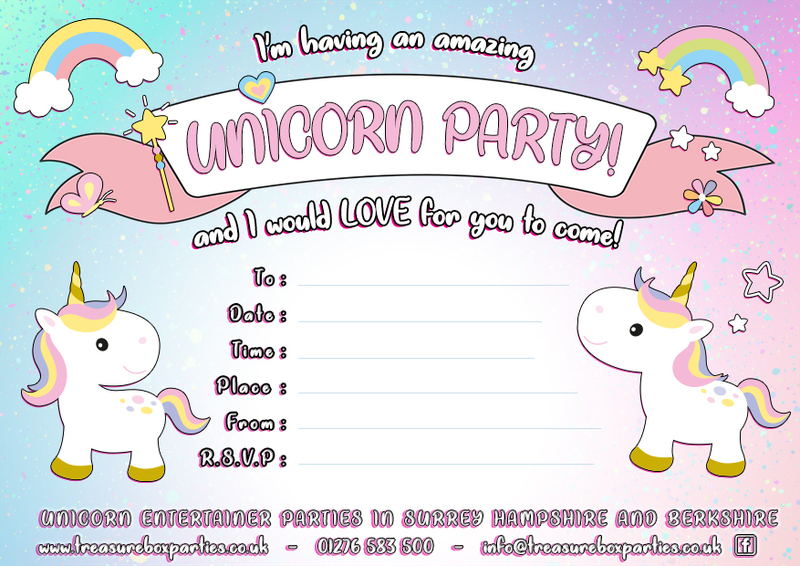 Free Unicorn Party Invitation Sheet – Cute Unicorn Party invite! 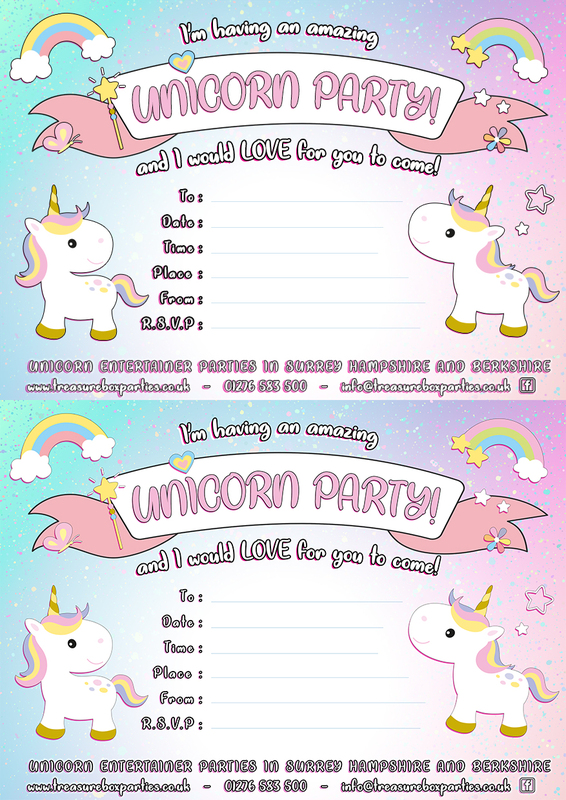 A free printable Unicorn Birthday Party Invitation sheet! 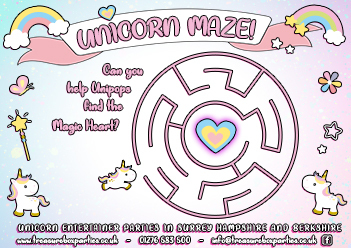 Free Unicorn Party Maze Activity Sheet – Print at Home! 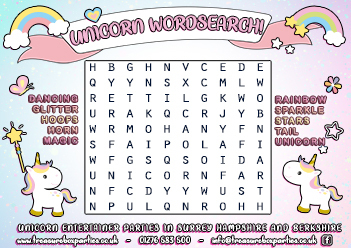 Free Unicorn Party Wordsearch Activity Sheet – Print at Home! 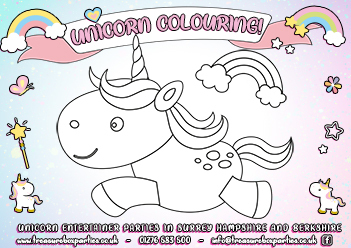 Free Unicorn Colouring Activity Sheet 1 – Print at Home! 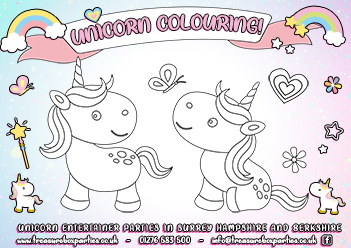 Free Unicorn Colouring Activity Sheet 2 – Print at Home! 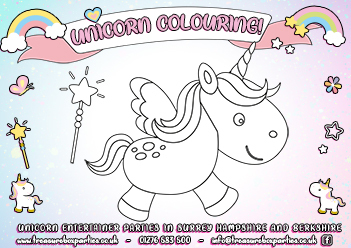 Free Unicorn Colouring Activity Sheet 3 – Print at Home! Home » Free Unicorn Party Printable Downloads! Cute Unicorns!